Now and Then – looking back on my work. Sticking with the theme of conflict, this piece has, perhaps, become more personal again (see previous posts this week for context). 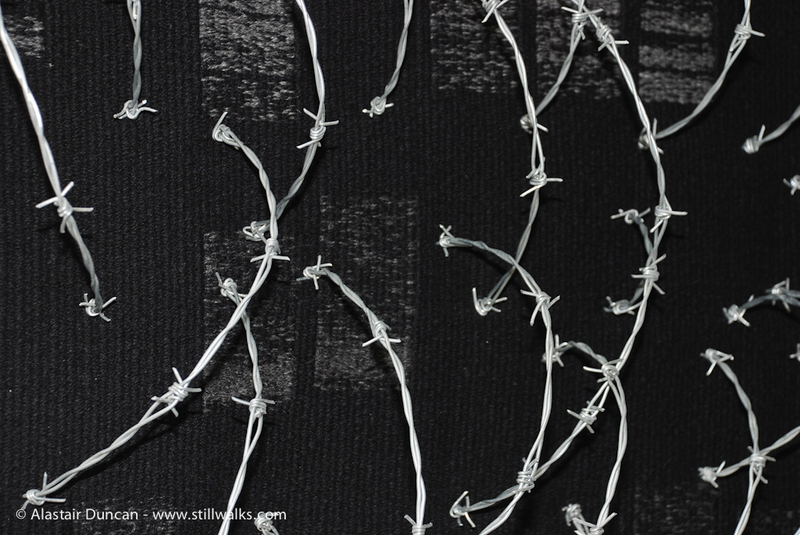 The patterns from printed DNA are still there but the barbed wire is also becoming more personal. StillWalks development is not far off! Woven from the back – as a tapestry artist, I have usually woven my designs from the front. Design development continues, for me, throughout the weaving process and working from the front obviously facilitated this. However, “Now and Then” had to be woven from behind and I think the reason is obvious – perhaps this piece, more than others, has indeed got my personal DNA within it! This work is available for sale – anyone interested should contact me. 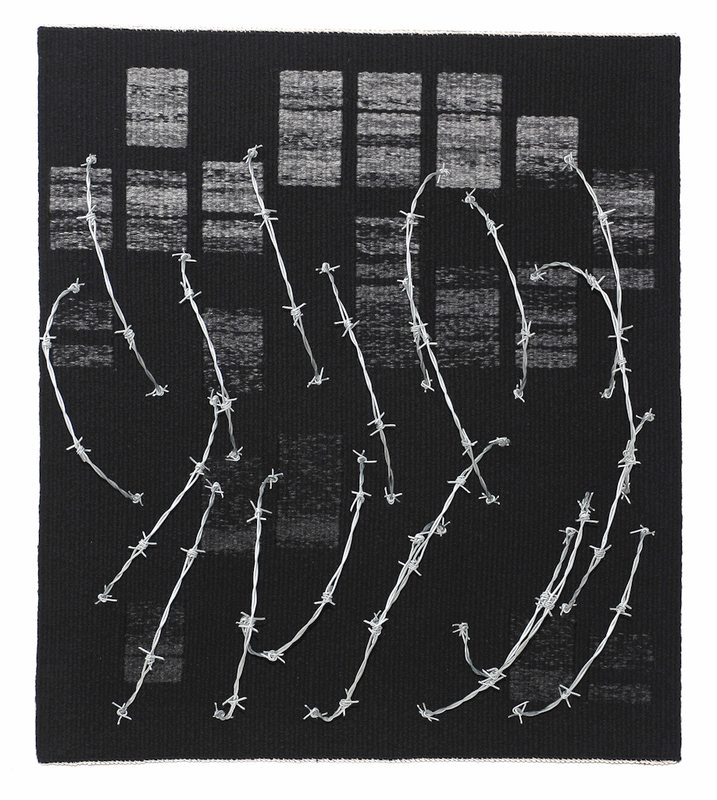 Posted in art, Conflict, Photography, Stress and tagged artist, barbed wire, conflict, cotton, DNA, Now and Then, photography, stillwalks, tapestry weaving, weaving, wool. These peices are awesome! I think they communicate far more than I can say in this short note. Thanks for sharing them. They have been with me constantly over the latest news in both the UK, the USA and the rest of the unhappy nations. Thanks very much. I am very pleased they do something for you. They were to some extent cathartic for me.